To view all of the photos from #SMWTO 2017, click here. Another year of SMWTO has come to an end! We hope all those who attended learned valuable information to put towards their Social Media careers, campaigns and concerns. The team at Pinch Social are ecstatic about the outcome of this special event in Toronto and can’t wait for next year! Thank you to our photographers Matthew Burpee and Katrina Lat. Here are some amazing photos capturing meaningful moments at this year’s SMWTO! 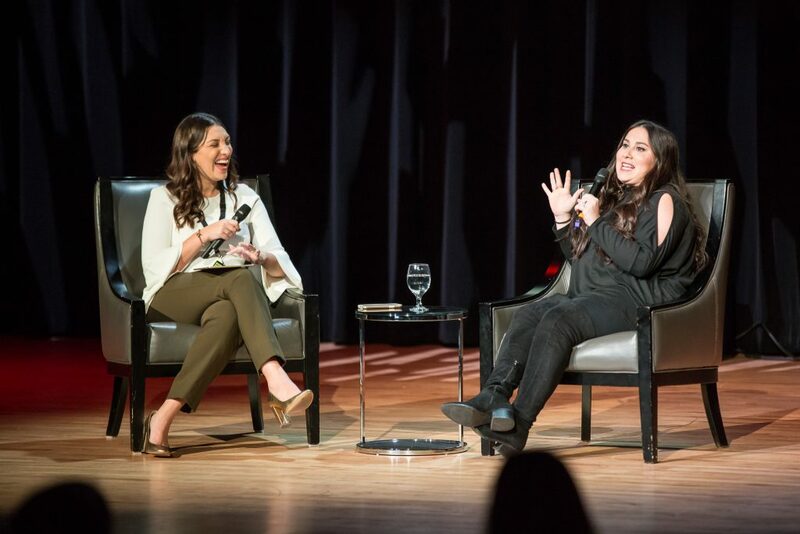 Day 1 at Glenn Gould Studio featured Instagram megastar Claudia Oshry, Girl With No Job. 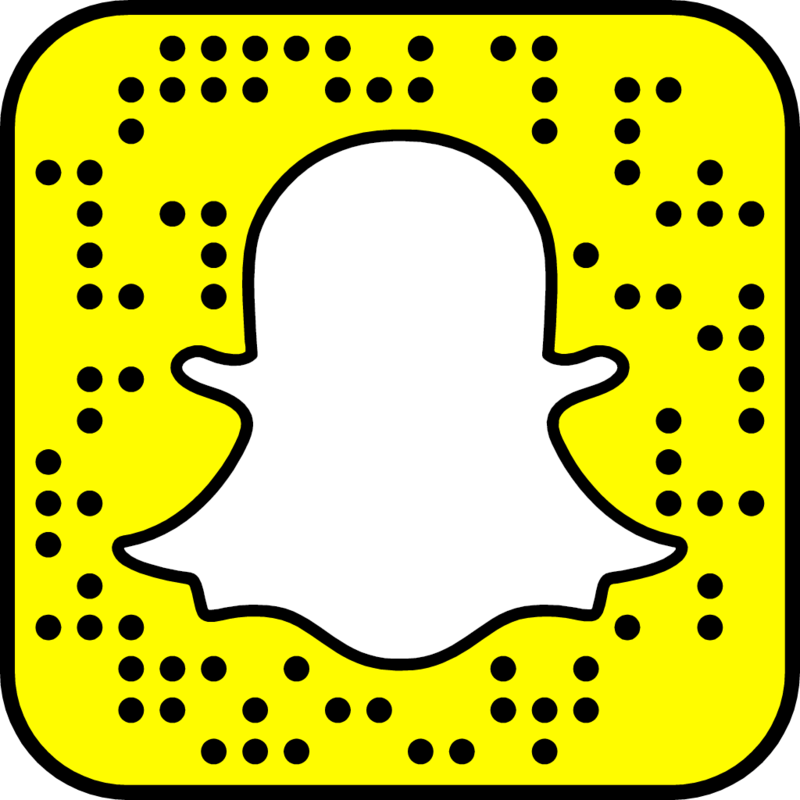 Interviewed by Pinch Social founder and SMWTO Executive Director Michelle Pinchev, we learned about Claudia’s path to success as a leading, millennial Social Media influencer. 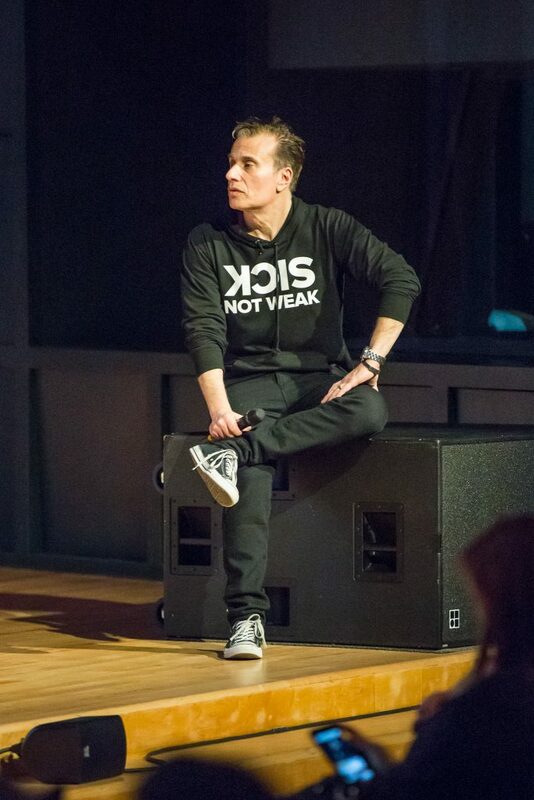 Day 1 at CBC’s Glenn Gould Studio featured Michael Landsberg, best-known from Canadian broadcasting and mental health advocate behind #SickNotWeak, an online movement to help people understand that mental illness is a sickness, not a weakness. 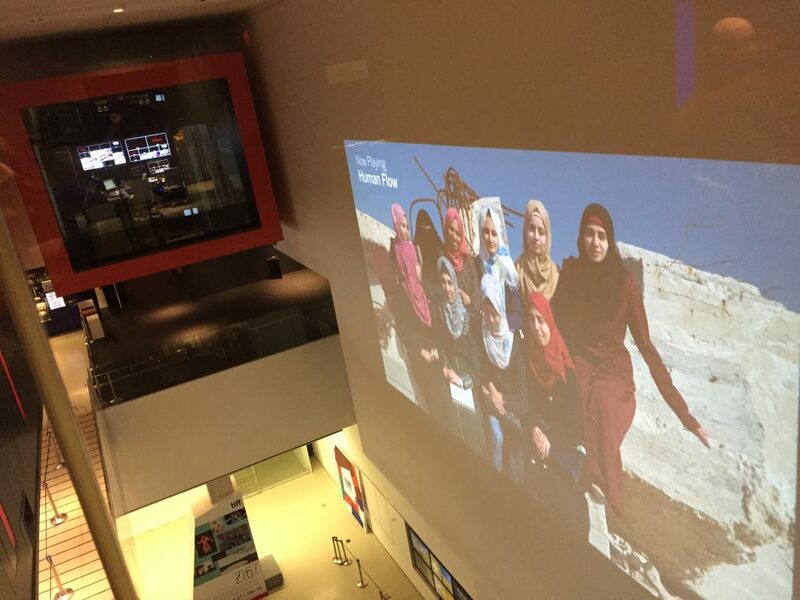 Interviewed by CBC’s Matt Galloway, there were special moments and inspired individuals from the discussion: How Michael Landsberg Inspired Me. 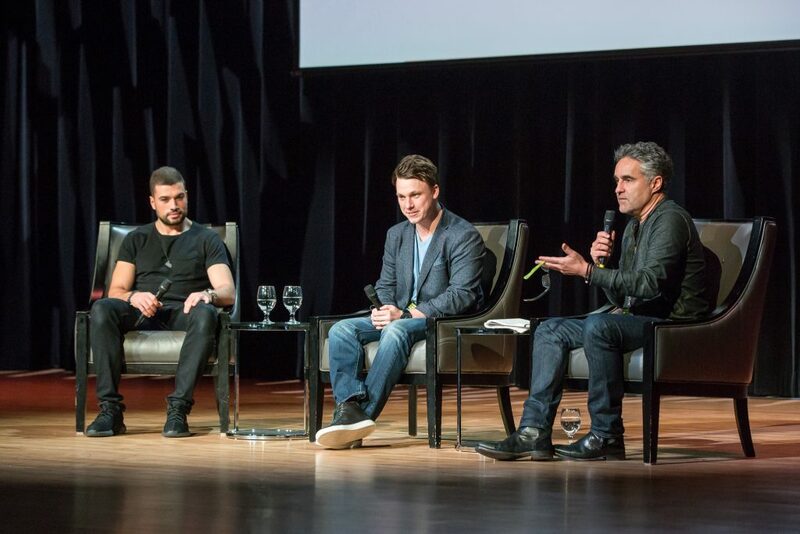 Co-founders of Diply, Dean Elkholy and Taylor Ablitt discussed Social Media content and the success of Diply with co-host of BNN’s The Disruptors, Bruce Croxon on Day 1 at Glenn Gould Studio. Day 2 at BrainStation Toronto featured several Social Media professionals in the crowd taking in the Rise of Paid Social and #TellAmericaIt’sGreat, one of the biggest Social Media campaigns in Canadian history. 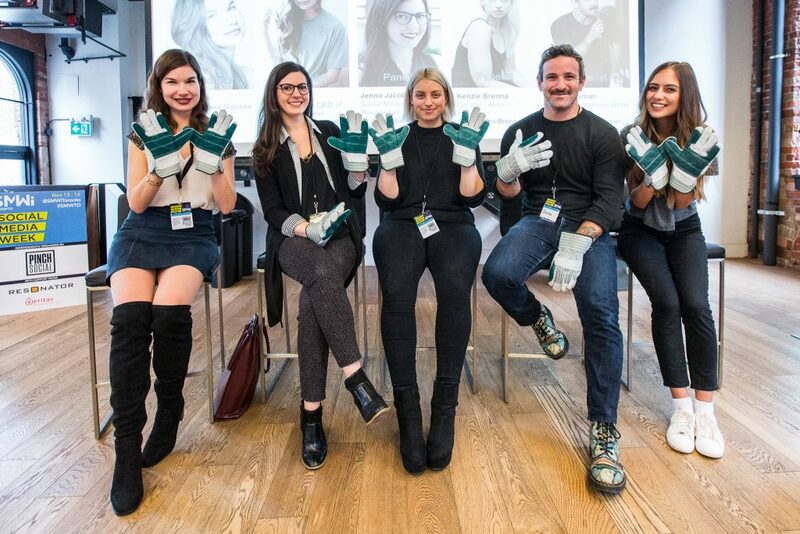 On Day 2, Pinch Social Director of Client Success, Elle Bulger moderated “Social Media vs. Reality”, a mental health panel featuring Jenna Jacobson, Kenzie Brenna, Jesse Hayman, and Kayley Reed. On Day 3, Mark Swierszcz, Manager of YouTube Space Toronto, welcomed SMWTO attendees to the very first YouTube space in Canada. 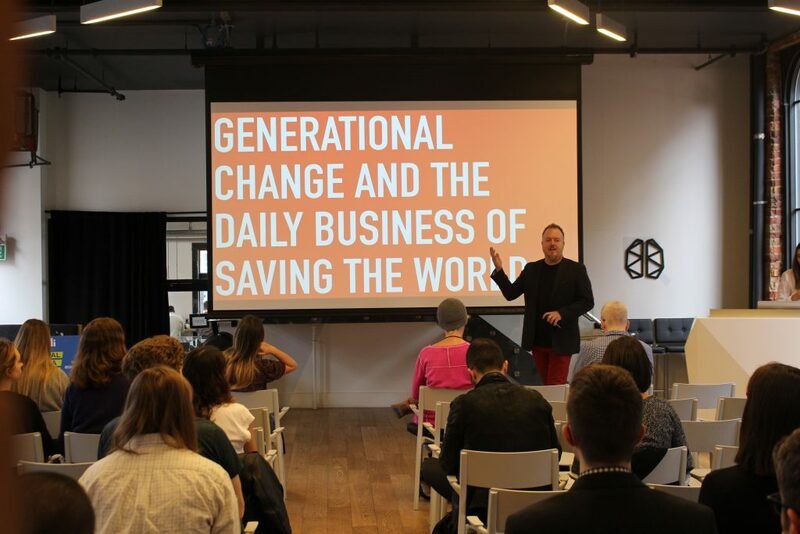 On Day 3, Chris Tait – Creative Director of Resonator presented at BrainStation Toronto discussing theories of changing behaviour and campaigns that successfully impacted young audiences. On the final day of SMWTO, TIFF hosted an art of projection tour led by Amanda Hadi and Hannah Martin and it really was an Instagrammer’s dream! 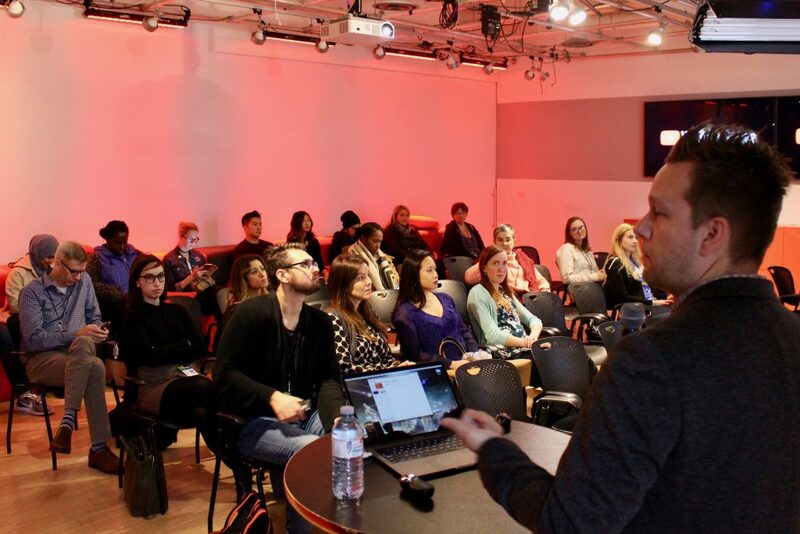 Social Media Week Toronto had many talented professionals from the Social Media industry share the stage, as well as their experiences, ideas and upcoming trends to look out for in 2018. 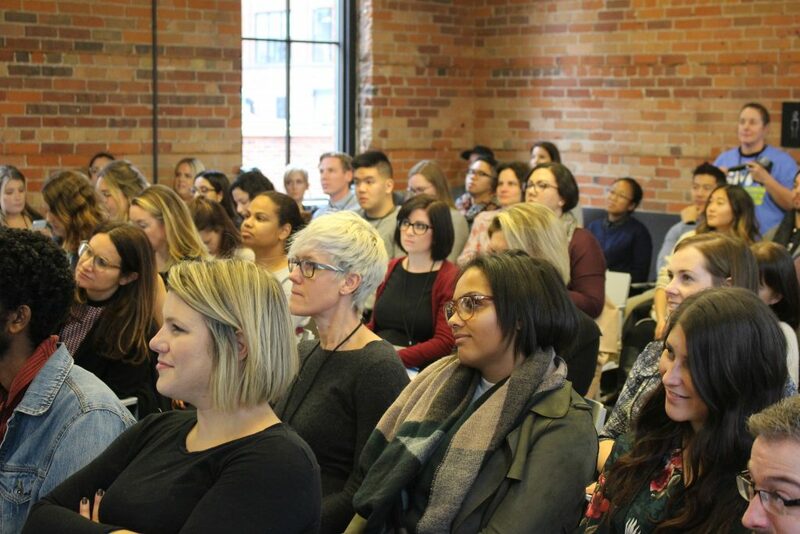 As we look back at the success of this year’s conference, we hope the future of SMWTO continues to flourish and inspire our city!